Furutech’s sister-company, Alpha Design Labs (ADL) creates innovative, smart-looking components for computer-based systems as well as personal and portable electronics. 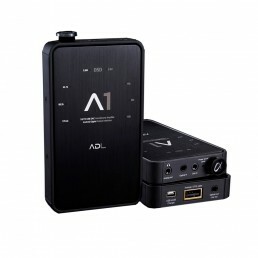 ADL is extremely proud of its worldwide reputation for innovative engineering, extraordinary build quality and legendary sonic performance. Originally launched as an entry-level line for Furutech, ADL has now evolved into a genuine leader in cutting-edge technology with its current line of desktop and portable audio components, headphones, earphones and cables. Using Furutech’s Pure Transmission Technology as the foundation for products that are carefully engineered as well as innovative, ADL has achieved a level of performance that has been previously unavailable at this price point. The Pure Transmission process focuses on one objective—to deliver a pure, open and quick sound that is preserved throughout the entire signal chain from the source to the speakers or headphones. As a result, Pure Transmission allows ADL components possess a greater sense of dynamics, power and resolution. You’ll hear deeper into your favorite recordings than ever before. 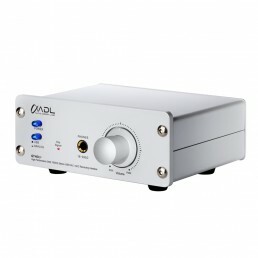 Adding more ADL components to the playback chain—including our full line of portable headphone amplifiers, DACs, headphones and cables—will increase the sonic advantages you’ll experience from Pure Transmission Technology. As with our state-of-the-art Furutech line, all ADL products are developed primarily with one objective—achieving the best sound quality possible. Each product is extensively tested and tuned by our team of engineers. The results are then confirmed by our “golden ear” consultants in Japan. Furutech’s Alpha Process employs cutting-edge technology and materials such as a low-temperature, two-stage process that significantly improves every facet of audio and video performance. The treatment begins during the manufacturing process with a deep cryogenic freeze of all metal parts. Using high-end refrigerants—liquid N2 or He—we achieve temperatures of between -196 to -250C during this process. The treated parts actually change their molecular structure at these extreme temperatures, relieving internal stress. The molecules bond together more tightly, and the overall structure becomes more stable. This improves electrical conductivity, resulting in a purer power and signal transfer. Step two in the Alpha Process exposes these same parts to the patented Ring Demagnetization treatment. This patented process uses controlled attenuation to completely eliminate magnetization, which results in a sound that is far more vivid and colourful during listening evaluation. ALL metallic parts used in ADL products go through the entire Alpha Process treatment to keep all connectors, conductors and metal parts in a perfectly stress-free, stable and highly conductive state. The 2-Step Alpha Cryogenic and Demagnetizing Process works in tandem with other design features to create the most optimized signal transfer possible. This complete awareness and devotion to detail results in a greater sense of power, dynamics and resolution, with cleaner, blacker backgrounds and a larger, more stable soundstage. 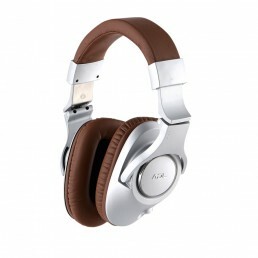 You’ll also experience vivid tonal colors and deeper extension at both ends of the frequency range. While ADL continues to push the envelope in terms of ultimate sonic performance, the company also remembers its original objectives—to design cutting-edge products that are exceptional in their portability, user interface and performance. Through quality materials, outstanding product build and a classic Japanese sense of function and sophistication, ADL has easily surpassed these goals. Only products sold by authorized Furutech dealers are covered by warranty. In order to obtain warranty service, proof of purchase from the authorized Furutech dealer must be provided to either the Furutech dealer or the Furutech distributor in the country of purchase. Caution! There have been confirmed cases of counterfeit products (Furutech replicas) being sold on www.aliexpress.com. Furutech advises against purchasing any “Furutech” labelled product from this site.